In the Legio Nova Vase by Eva Trio bouquets or single flowers can be displayed to their best advantage. 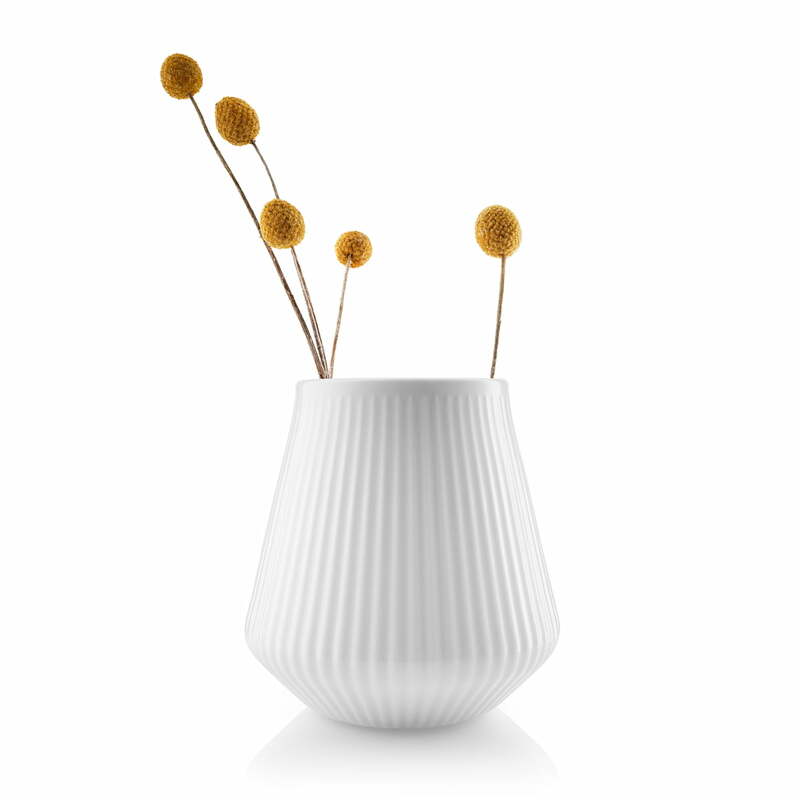 The bulbous porcelain vessel has a ribbed structure on the outside, which gives the surface a certain dimension. 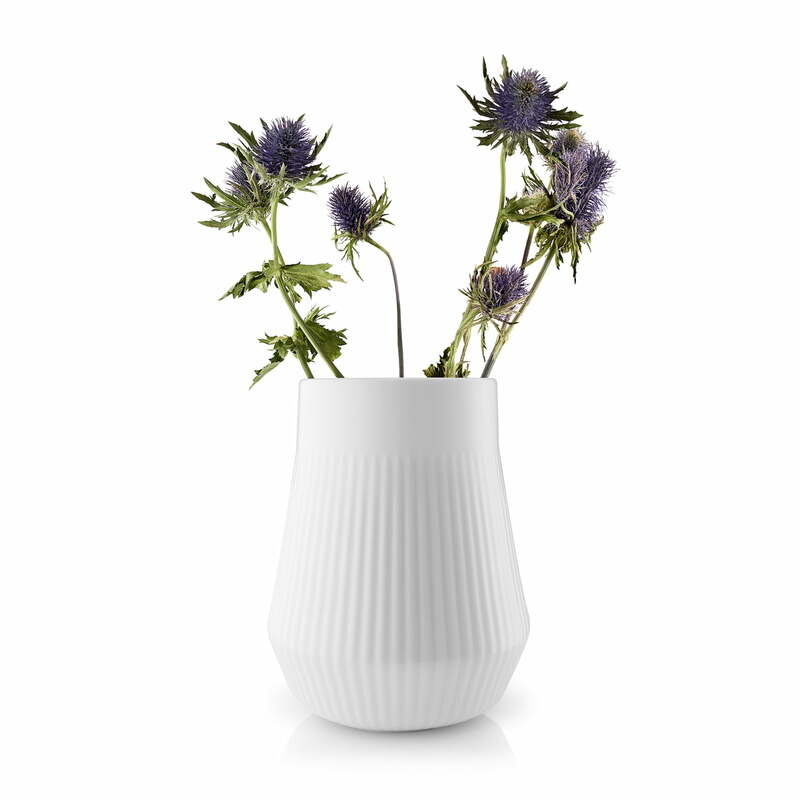 Available in different sizes, the vase can also be combined to create a stylish flower arrangement. 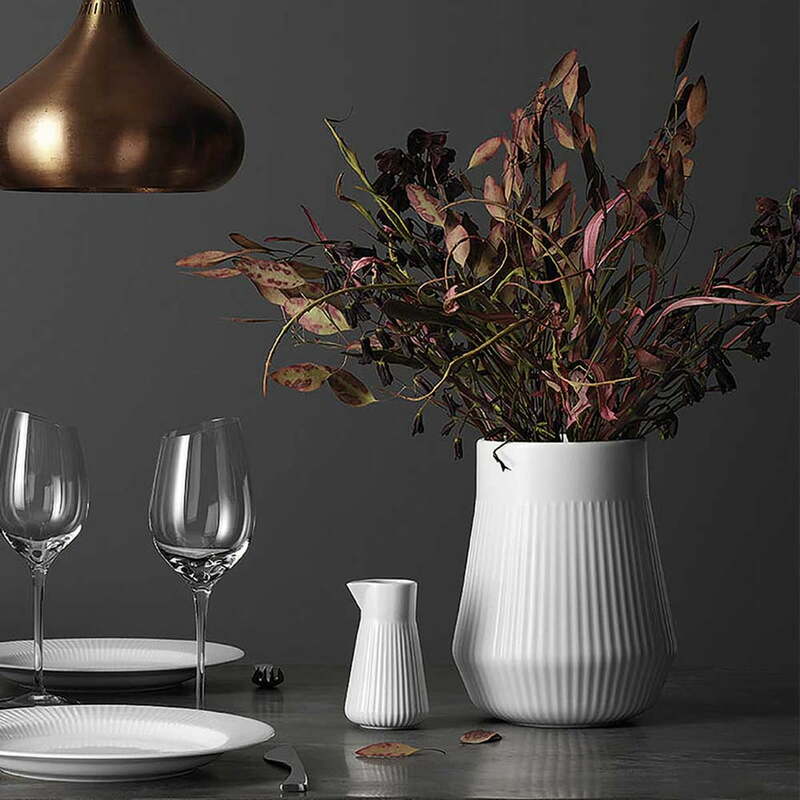 Arranged on the side table, the window sill or on the breakfast table with the matching dishes from the Legio Nova series, the vase sets delicate accents and brings a touch of elegance to any ambience. In the Legio Nova Vase by Eva Trio bouquets or single flowers can be displayed to their best advantage. 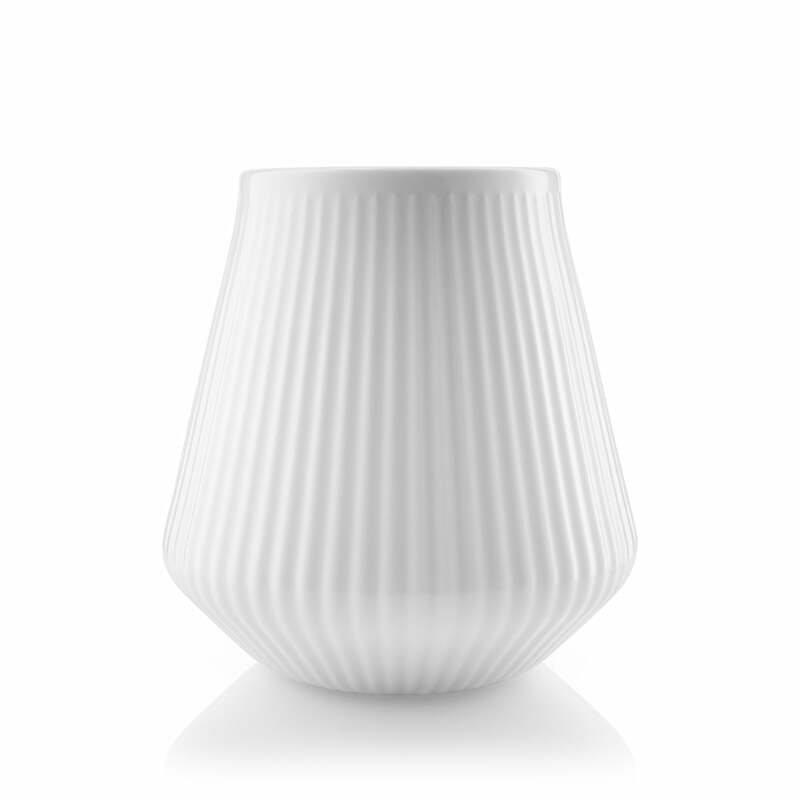 The bulbous porcelain vessel has a ribbed structure on the outside, which gives the surface a certain dimension. Lush bouquets, individual flowers or twigs can be shown to their best advantage in the vase. In addition, the Legio Nova vase also makes an excellent single standing figure.